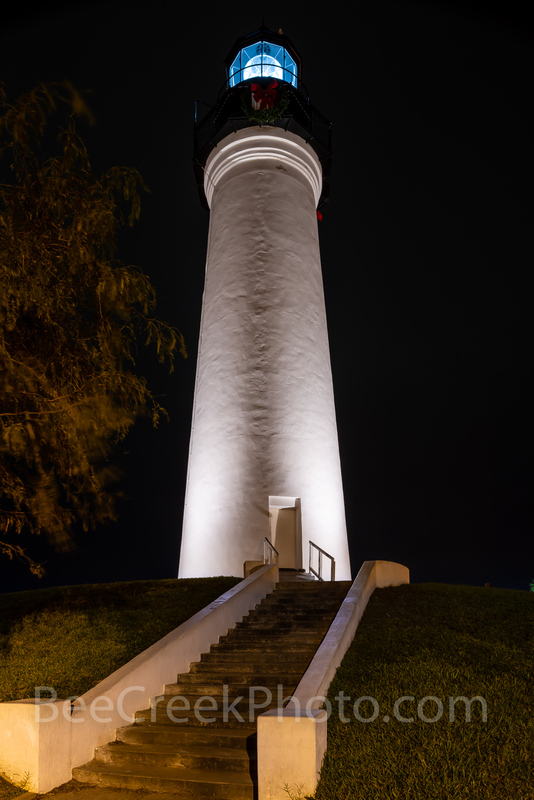 Port Isabel Lighthouse Landmark - Another view of the Port Isabel Light House which is fifty feet high and is open to the public and a landmark for the area in a vertical format. From this perch you can see across to Padre Island and the causeway. You cross over the causeway to get to south padre island as the only road to South Padre. Photo © copyright by Bee Creek Photography - Tod Grubbs / Cynthia Hestand. Canvas wraps are printed on white archival poly-cotton blend matte canvas. The canvas is wrapped on a 1.5" stretcher framed and finished with a durable black backing. The gallery wrap arrives at your doorstep ready to hang. After an order is submitted, the canvas usually arrives within 5-6 business days. While canvas wraps are more expensive, there is no need for matting and framing. After a fine art print is matted and framed, the cost is often equivalent or even slightly more than a canvas wrap. The fine art prints are created on 100% cotton rag fine art paper. It is an archival heavyweight (308gsm) with a smooth surface delivering true colors and rich detail. It's archival lifespan is 100+ years. Once ordered, prints are usually at your front door within 5-6 business days. Vivid metal prints are a unique way to display your favorite images adds an artistic edge and contemporary elegance to prints and offers a unique high gloss fine art option. These rich and colorful prints on metal come with a float mount on the back and ready to hang. Prints are professionally made with the highest quality materials to ensure that your image looks good and continues to look good for many years. For more detailed information on the printing process please visit the prints page. Larger sizes and different aspect ratios are available upon request. Not all images will fit the print size listed and may have to be cropped to fit. If you have a question about a specific image and/ or print size please contact us we will be glad to help you select the proper size and materials to fit your project. If you are interested in licensing this image for either web site use or print media, please do not hesitate to contact us. Additionally, please review our licensing page for more details.